Grant Romer, world-renowned photography authority and former Director of Conservation for the International Museum of Photography at the George Eastman House in Rochester, New York, introduces recently evolved thinking about the daguerreotype in light of the dramatic changes in imaging and information technology over the last ten years. Romer also examines the basics of daguerreotype connoisseurship through an overview of the history of the process and illustrations of the unique qualities of the daguerreotype. Grant Romer came to George Eastman House in 1975 upon entering the Graduate Photography Program at the Rochester Institute of Technology. He received his bachelor's degree from Pratt Institute where he began formal study of the history of photography in 1964 while a student of fine arts. 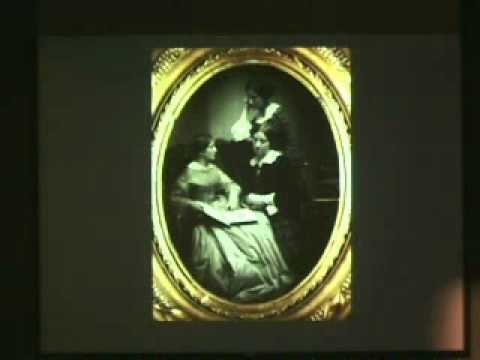 Specializing in the history and practice of the daguerreotype, Romer began working with Alice Swan, then photograph conservator at George Eastman House. Following Swan's departure in 1978 and the establishment of the institution's conservation profile, Romer became its conservator. With strong commitment to sharing the learning resources of the Museum, he opened the laboratory to others through internships, contributing to the professional development of many of the international leaders in the field today. In response to a growing demand for learning opportunity in the specialty of photograph preservation, Romer established the Certificate Program in Photographic Preservation and Archival Practice at GEH in 1989, which eventually served as the basis for the current Advanced Residency Program in Photograph Conservation, which he now directs. Romer is well known worldwide as a lecturer and author on many topics of photographic history and conservation.